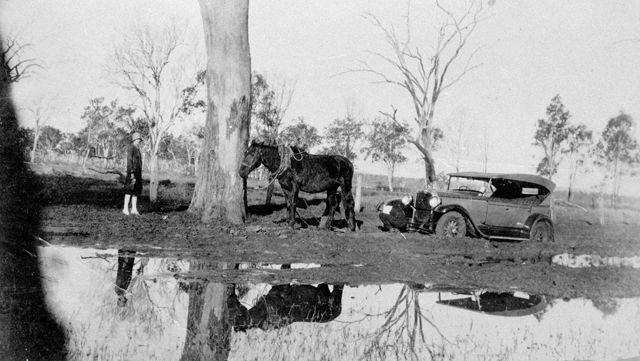 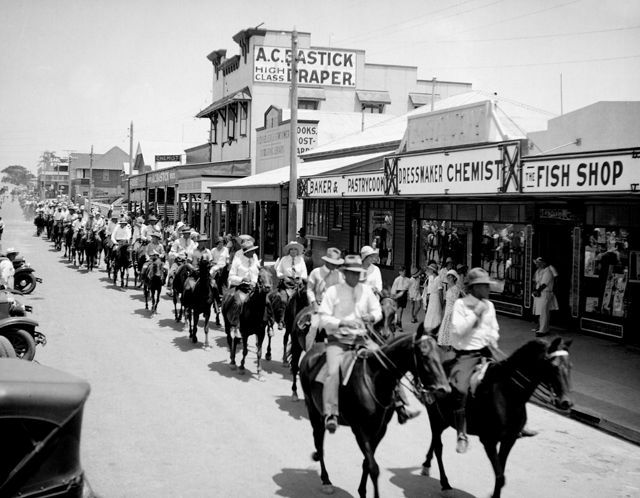 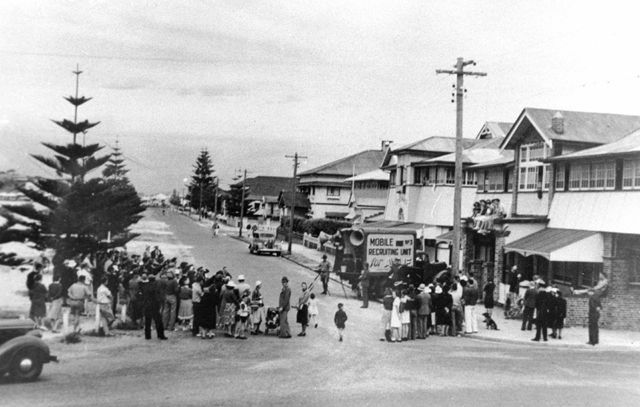 Large numbers of horses and riders riding east along Nerang Street, Southport, Queensland, circa 1930s [picture] / George A. Jackman, photographer. 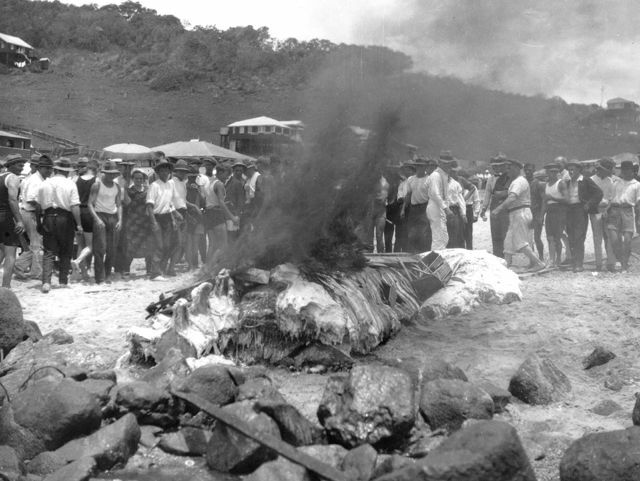 Burning the beached whale carcass, Burleigh Heads, Queensland, Christmas 1926. 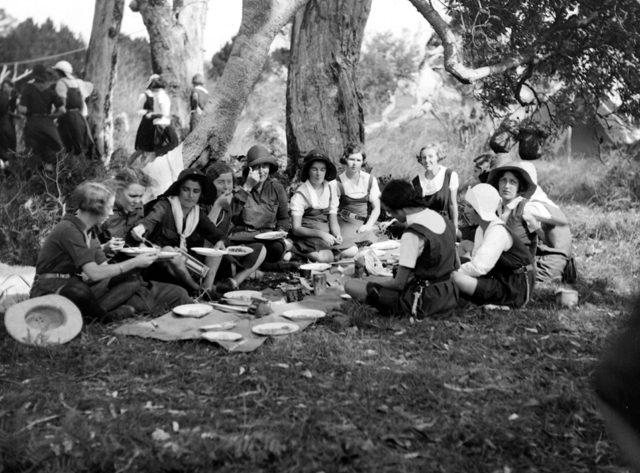 Girl Guides eating a meal prepared while on camp on the South Coast, Queensland, circa 1930s [picture] / George A. Jackman, photographer. 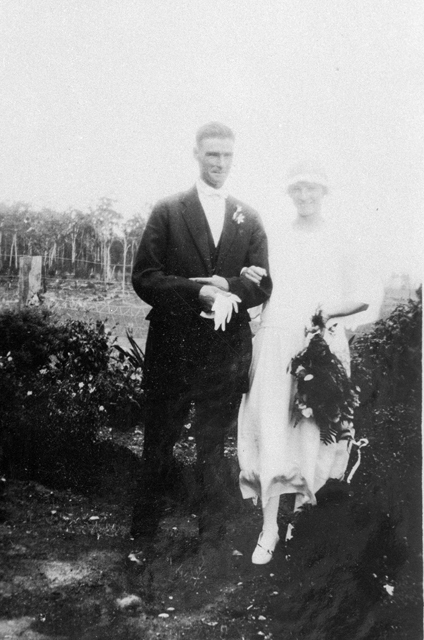 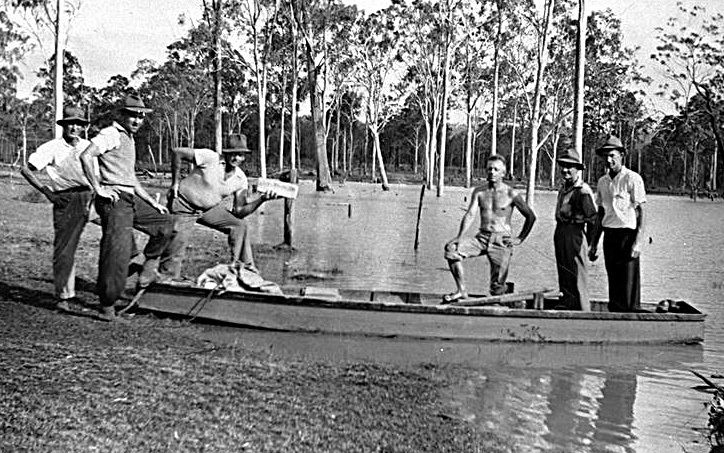 Wedding portrait of unidentified couple at their Mudgeeraba bush wedding, Queensland, 1924 [picture] / Photographer unknown. 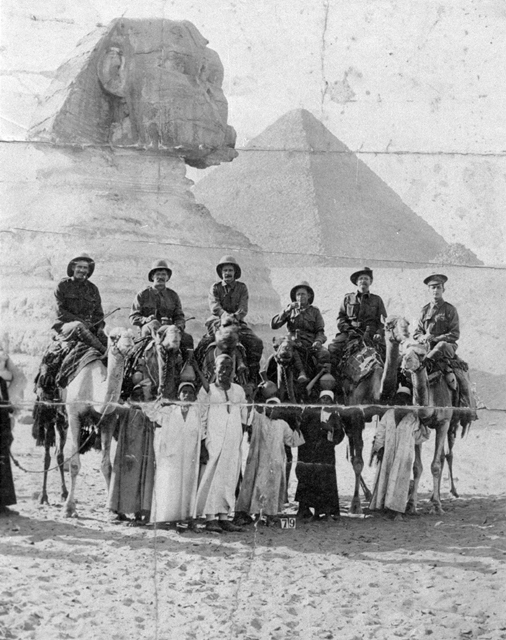 Richard Holden with colleagues on camels in Egypt during World War One, circa 1916 [picture] / Photographer unknown. 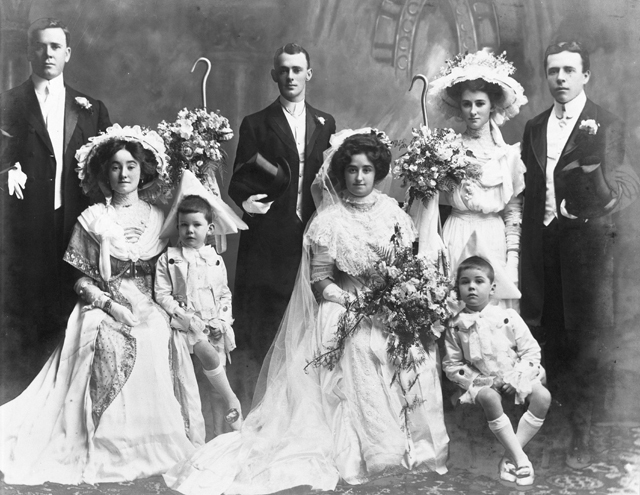 Wedding portrait of an unidentified couple and their wedding party, southeast Queensland region, circa 1900s [picture] / Photographer unknown.